Stijn Francis was a guest of the “deadline day” show of FC Afkicken. 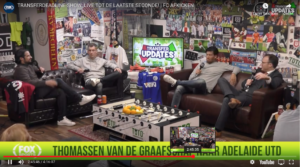 FC Afkicken organized a 4 hour show during the last minutes of the transfer window. Main topic of discussion were the most eye catching transfers of deadline day. You can find the full live show here.